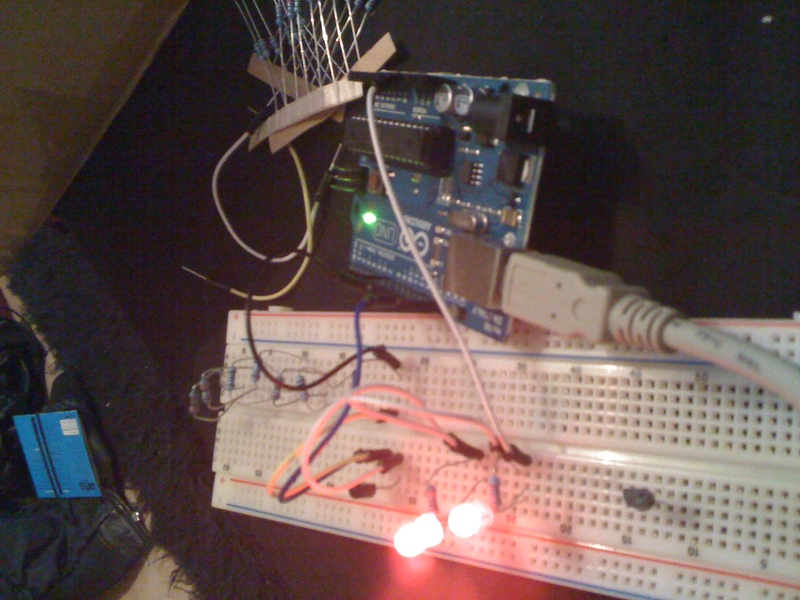 Finally, I managed to have control over the LED lights through an arduino. 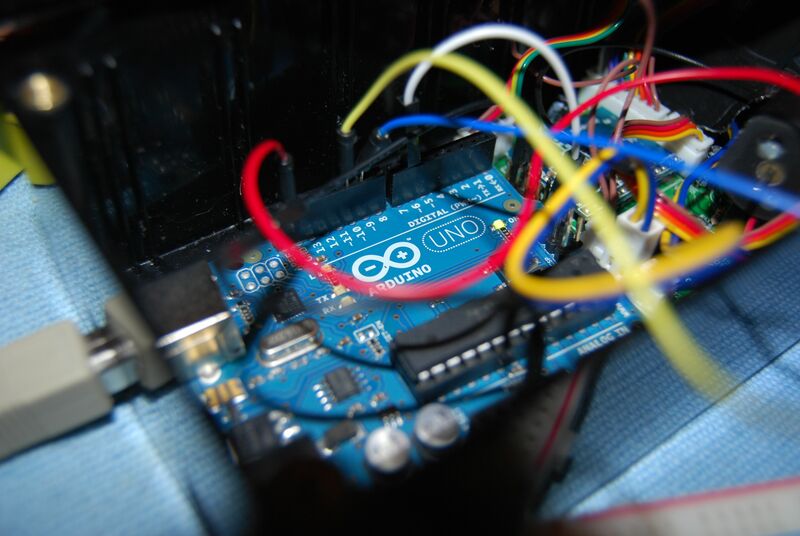 Last time, I broke an arduino and I thought I had the circuit working, but it turns out it wasnt really. I had to figure out the circuit by myself. I had a feeling something was up with how the circuit was grounding, so I got myself a 9v battery and set about reworking the circuit. First of all, I decided that I should read up on transistors and how they work because I had no idea. 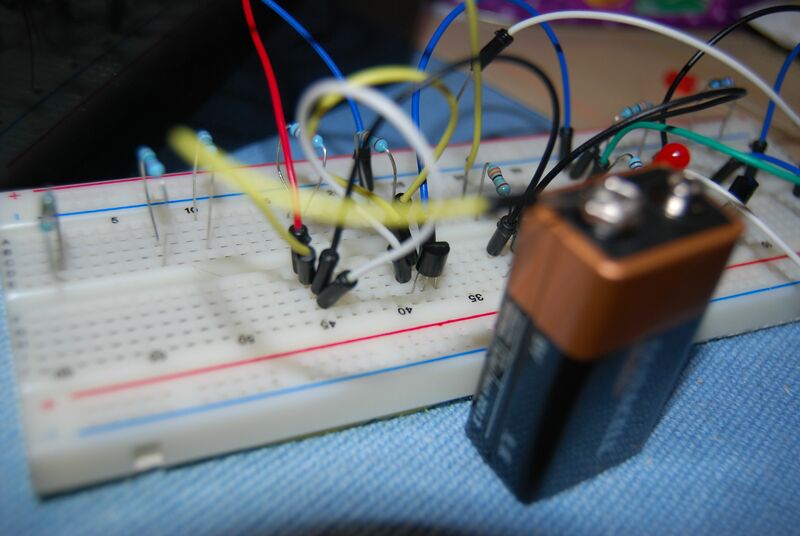 With some basic understanding, I was in a better position to put the circuit together. 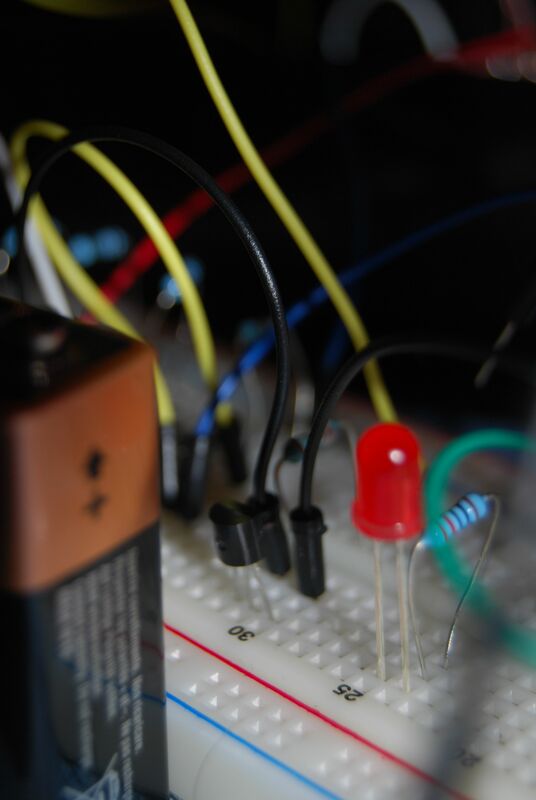 I then had a look at how LED’s can be put in circuit with transisitors. With the help of this nice diagram, I had enough to go on. 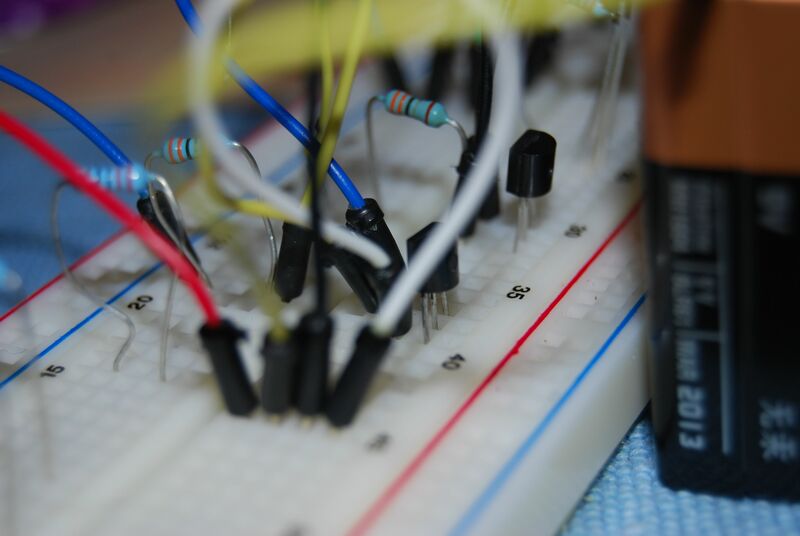 I was treating the LED strip not like LED’s before, when I actually thought about them as just a single LED, it made it so much simpler to understand and put it into a controllable circuit. 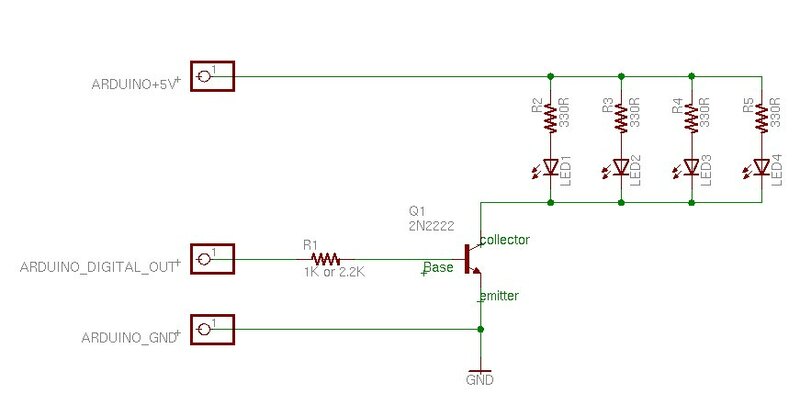 With this diagram, I made myself this circuit but with normal LED’s first of all to see that I could control them with the transistors in place. 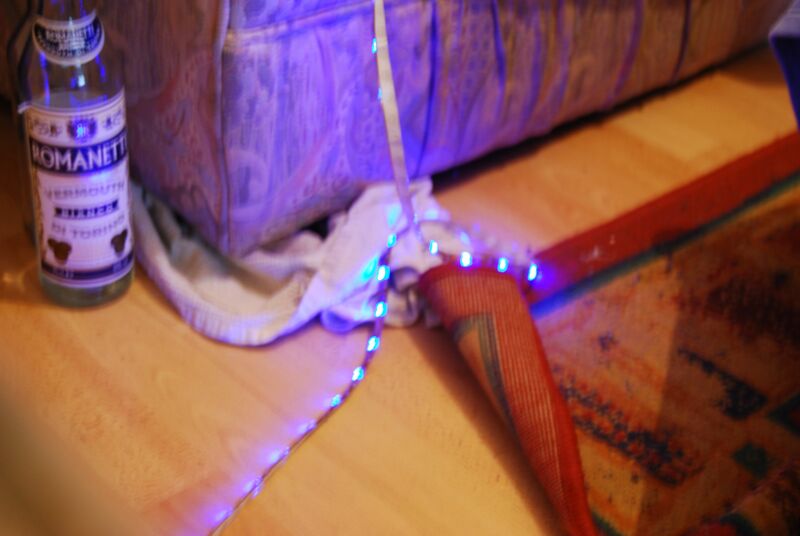 Once I could do this, I was fairly confident that I could control the LED strip. Luckily, this worked. So I moved on to putting the LED strip into this circuit. Currently I only intend to control one colour, but I would like to be able to control other colours at the same time too and have the LED strip react to the game. I connected up the circuit how I thought it would work, powered it by a 9v battery, and it all seemed to work! 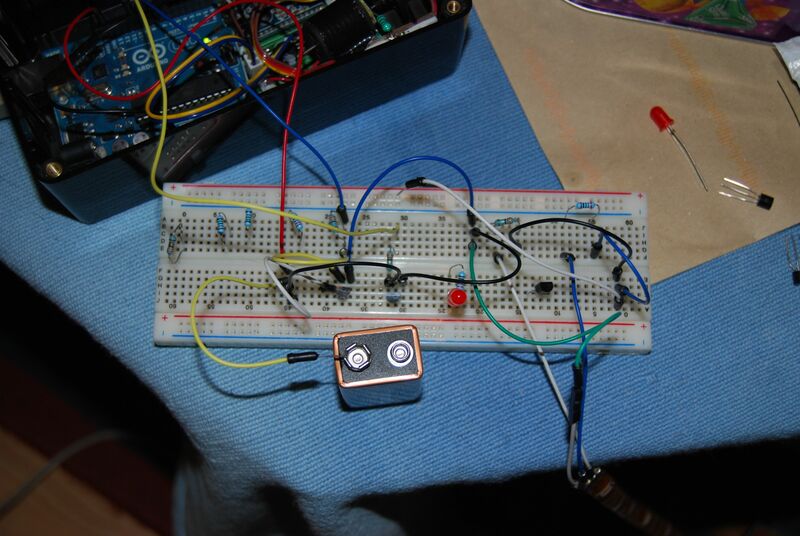 With a simple adruino sketch, I had the lights fading on and off no problem at all. The next step was getting it to be mind controlled. This is fairly straight forward. I just had to set the brightness of the LED’s to be the same values as the incoming attention values from the headset. Easy peasy, and it worked straight away. Finally, this is something that I’ve been struggling with for a little while now, so I’m glad to see that it’s working as I had in mind.